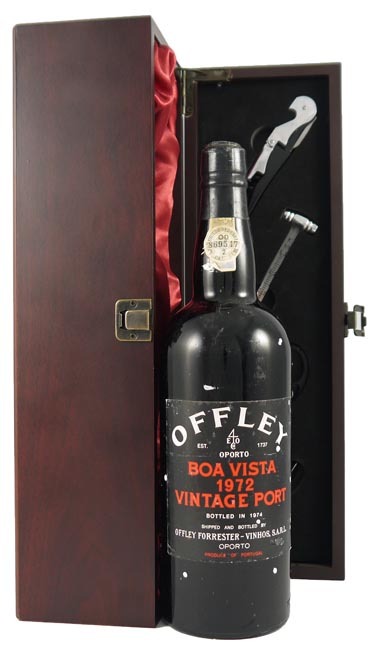 This firm and fruity port from the 1972 vintage is rich and fat with good fruit, very full bodied and has great texture and flavour. Drink now - 2023. A good vintage not declared by most shippers but some excellent single quinta Vintage Ports were produced. A note from Michael Symington of the Symington Port Group, which owns the well known names as W&J Graham Vintage Port, Dow Vintage Port and Warre Vintage Port, stated "Those wines made during the early part of the Vintage from the best Quintas, though in very short supply, show great promise and could well prove to be very well balanced and outstanding in quality."